Sign up Today to start receiving our Email Newsletters about upcoming Aviation Events, Great Places to Fly, and Exciting Videos! At FunPlacesToFly.com, it is our mission to promote Aviation, by providing free information about great places to fly your airplane, plus exciting news and reports about everything that is aviation. This website is for all Pilots and Aviation Enthusiasts. We want to bring the Fun back into Flying. Learn MORE! One of most annoying things that we encounter when shooting video with our Airplanes, are those ugly dark lines of the propeller, spoiling the view and ruining the video. 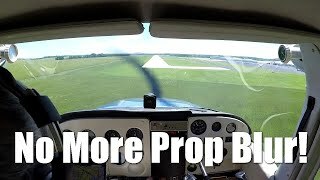 NFlightcam's propellor filter removes these propeller lines in 90% of typical VFR flight. How to edit and sync multiple aviation videos with Adobe Premiere Elements. 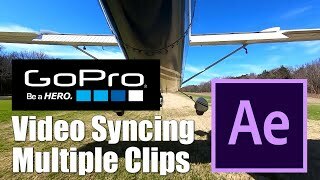 A complete tutorial on editing and syncing videos shot with multiple cameras in different locations on your airplane. Keeping the timing consistent. Today, we're visiting Tina's Pilot Shop, otherwise known as the North Texas Pilot Supply, which is located at Northwest Regional Airport, identifier 52F, on the DFW Sectional. According their website, tinaspilotshop.com, this pilot shop has been in business for almost 20 years. 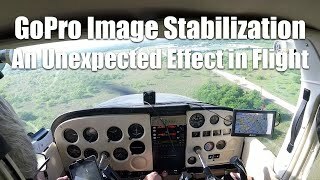 In this flight video, we used new GoPro Hero 5 Action Cameras with image stabilization to see how well they work. We discovered a new effect where the cameras track the horizon from in side fuselage. 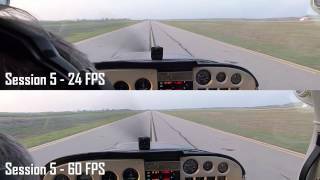 We went out on a late evening flight in the Cessna 172 to see if there is any difference between a FPS setting of 24 VS 60 on GoPro Hero 4 and GoPro Session 5 cameras. What do you think? Please reply below! On a beautiful North Texas evening flight, we flew over Lake Lavon and Lake Tawakoni to see the results of the massive amounts of rain received for the past weeks. 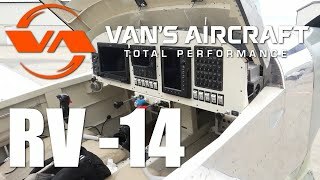 Richard Wingfield tells us all about his new RV-14 from Van's Aircraft. What a beautiful bird! You too can build your own airplane! 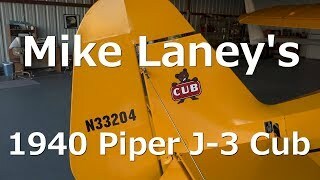 Mike Laney talks about and gives us a tour of his beautifully restored 1940 Piper J-3 Cub! A true aviation treasure! 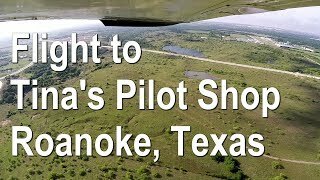 A great flight to Sulphur Springs Airport in Texas. We enjoyed seeing the extremely nice FBO and the friendly folks there. Then we walked across the street to the Red Barn Cafe and had a great lunch.